- Protein shakes are difficult to get right. What sort of protein is best? Which carb-to-protein ratio is right for me? For the casual gym-goer, protein shakes are a tricky business. Who's to say what's in that mysterious, neapolitan-flavoured powder is actually doing any good? Enter MH, with a comprehensive guide to what to look for in your supplement of choice - and what to avoid. Choose a powder with 3 grams or less per serving. Healthy fats are good, but you won’t find them in products with long shelf-lives like your protein shake. Whey isolate vs concentrate: Isolate goes through a more extensive process to remove fat and lactose. So if the powder is pricey, make sure it contains whey protein isolate. Polydextrose: This can be listed as fibre on food labels, but doesn’t have the same benefits of naturally occurring dietary fibre. So don’t ditch your five-a-day. The carbs in most powders are glucose or a form of corn syrup, and add no nutritional value. Pick a powder that has less than 5 grams per serving. Sucralose: An artificial sweetener 600 times sweeter than sugar. It doesn’t metabolise to produce energy, and thus contains zero calories. One scoop of protein powder should contain at least 20-25 grams of protein. Anything less is a red flag that your powder contains too many fillers. 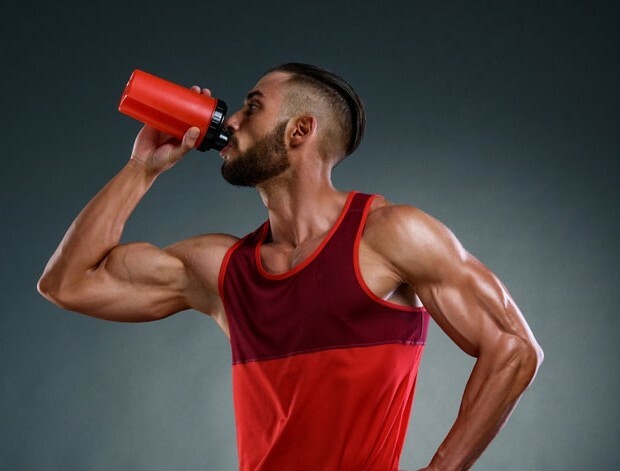 Tricalcium phosphate: Sometimes used for bone implants, this mineral is included in protein powder to prevent it from caking when liquid is added. Papain and bromelain: Does protein upset your stomach? These ingredients help with the digestion of protein-rich powders.